Editor’s Note: This article was originally published in 2011 and is not currently being updated. 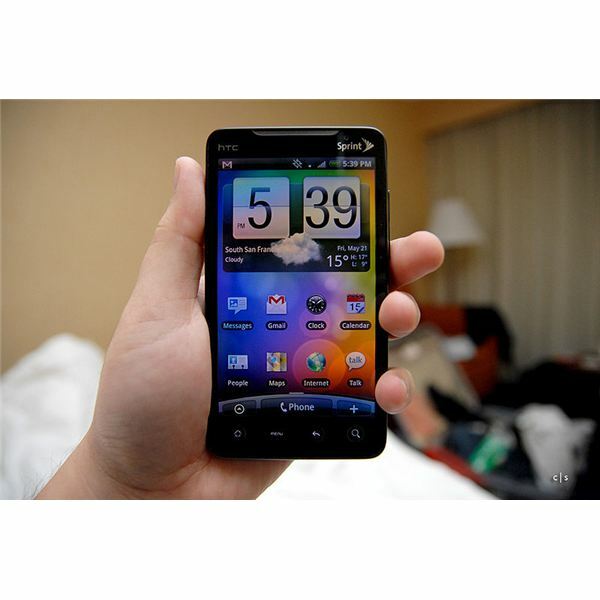 HTC smartphones are among the most popular handsets available, with devices like the HTC Evo delivering slick iPhone-beating mobile phone goodness to people around the world. However, from time to time you might run into a problem on your HTC phone, regardless of the operating system you are running. Fortunately the vast majority of problems are easily resolved, leaving you with plenty of time to enjoy your phone. Specific issues with the HTC Evo exist, such as hardware faults (screen separation and light leakage) as well as problems syncing with Microsoft Exchange. Some of these problems require an update to a new version of Android, but the hardware faults may require sending your phone to be repaired. One of the best ways of avoiding problems is to make sure your HTC smartphone is correctly set up. Only then will you be able to enjoy it to its full potential. Of course there comes a time when you will need to admit defeat with the problem you’re having on your phone and simply reset it. This is easily done via the power button, which will restart your phone. Hard resetting, meanwhile, will restore your phone to its default factory settings. One common problem that many mobile phone users encounter is that of a quickly discharging battery, and HTC phones running Android are no different. Fortunately there are many different settings that can be altered to increase your battery efficiency, although note that disabling these settings may affect your enjoyment of the device. Depending on the HTC phone you are running, options for reducing battery use might be included in a useful widget in the user interface rather than being hidden away on a menu. Such a widget can be found in the Android Market and it will save you valuable time and power. Another way of improving the performance of your HTC Android phone is to free up memory. You might have installed apps that you no longer need or have unnecessary processes running – either way, these can be addressed to speed up your phone. Adding and removing music and other media files doesn't have to be done manually. With HTC Sync you can automate the process in the much same way that you would using iTunes. Better still, the system allows you to keep using your HTC phone as a portable storage device if required. To achieve full, ultimate control over an HTC Android phone and enjoy the full selection of apps available for your handset, the best choice you can make is to unlock your device using the "root" process. This action opens up files and folders that are normally restricted from the user for reasons of system stability, as well as enabling you to use an ever growing selection of apps that require enhanced privileges. If you're looking for an app that will resolve the problem you're having, rooting your phone might well be necessary. However, bear in mind that it might not be the same process on all devices. Rooting different phones can require a different process from time to time. If you own an HTC Wildfire, for instance, the software used to unlock this handset might be different than the software used to unlock a Samsung Galaxy S.
Similarly, rooting the HTC Inspire might also follow a different procedure. This shouldn't come as a surprise – while rooting isn't yet banned it is something that Google doesn't want users to do in case it disrupts the quality of the Android experience. If you own an HTC Touch Pro you might find that the process for rooting your phone is different yet again. Don't worry about this, however – just enjoy the fact that you will soon have great control over your phone and be able to use apps that either wouldn't previously work or had paid alternatives. For instance, should you update your HTC Hero's firmware this can often overwrite any changes you have made in giving yourself root access to your HTC Android phone. Updating firmware shouldn't be avoided, however, as this kind of upgrade often results in improved performance. Problems with HTC Sense can be resolved with updates too, particularly useful if you're not prepared to hard reset your phone. Audio problems and settings on an HTC Evo can be easily resolved as long as you know where to look. Many of the menus across different versions of HTC Sense are the same, so you should find that much of what is described here will apply to most Android phones.